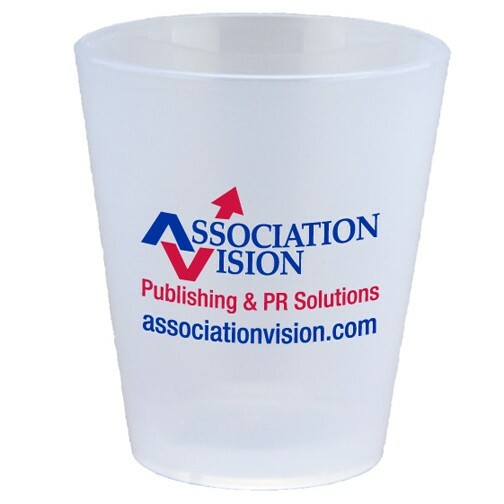 GREAT FOR SPECIAL DRINK PROMOTIONS AND BRANDING! 2 oz. Made in USA Crystal Styrene Plastic Molded Shot Glass. Durable, reusable and food grade. Use for theme events, branding and event marketing. BPA free Styrene offers excellent clarity and cost effectiveness. IMPRINT: One color, one location in a 1 1/4"h x 1 1/4"w area. COLORS: Clear, Frosted, Black, Orange or Translucent Orange.